Speziell (Special) was founded in 2002 by Sybille Fleckenstein, Jens Pohlmann and Thilo Schwer. The three product designers believe in the strength of a design process to which different team members contribute their different experiences and priorities. This enables pithy solutions to be created which focus not on an individual’s ego but on a jointly discovered approach. The focus of the design agency’s work lies in the furniture, kitchen and bathroom areas; the projects range from lighting to office furniture and from porcelain sets to trade fair stands and have received numerous design awards. 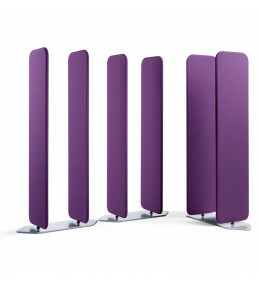 Viswall rotating room dividers allow you to create private zones and third spaces in the office. 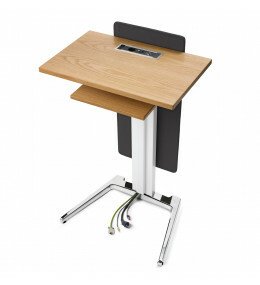 Brainstorm Mobile Table is stackable, with optional height adjustability and can be optimally wired up. 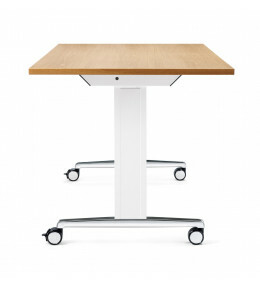 Brainstorm Nesting Table offers intelligent functionality and encourages communication. 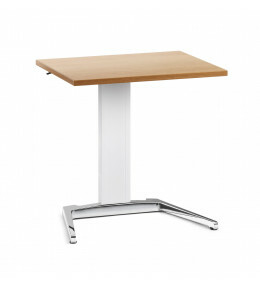 Brainstorm Training Tables offer personal workstation solutions for training rooms and seminars.